I personally don’t really care too much about Saber Nero. 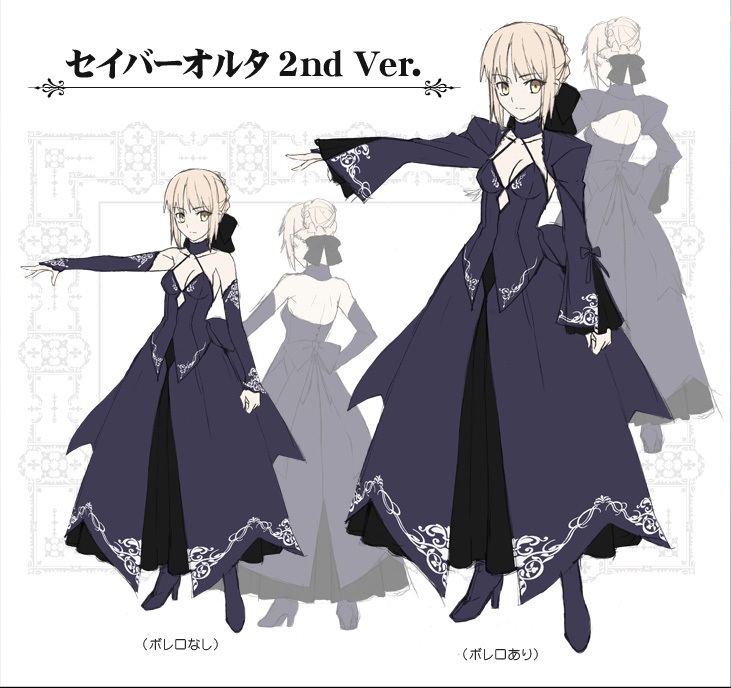 To me, design wise, Saber Nero is like the original Saber but with a slightly modified dress in red colour. The one thing I do like about Saber Nero is her sword, it has such a strong impact compare to the other swords Saber wielded. Now back onto Saber Alter. 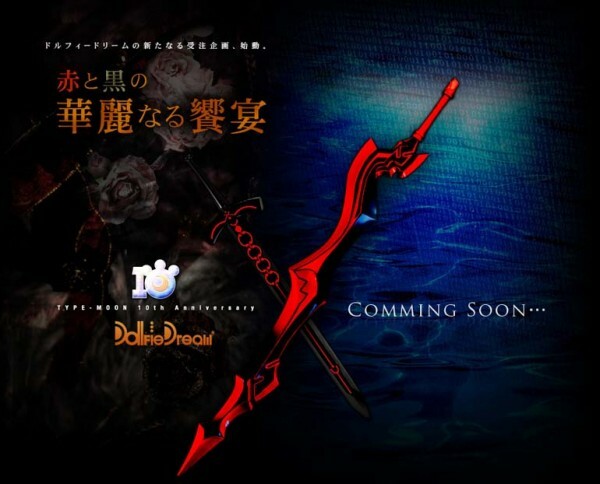 Saber Alter was released in the end of 2008 and beginning of 2009 during Volks Dolpa 20. Back in 2009, I just acquired Saber, and so I decided not to acquire another similar doll. However, I do like Saber Alter, so I ended up getting the Saber Alter’s dress from Yahoo Japan Auction. Yet as the time passes, I find myself still gazing at the white skinned Saber Alter. So finally here’s my chance, not only will I have the Saber Alter 2nd Version, with my previous Saber Alter dress, I pretty much have a Saber Alter (sans the shoes) as well. The following images are posted on Volks’ web site. 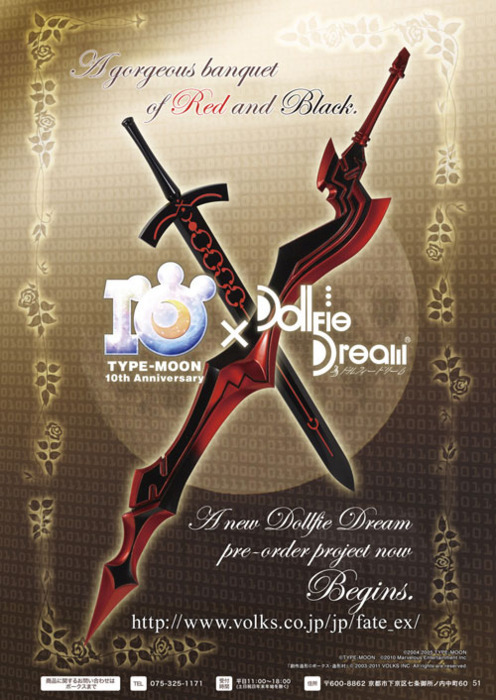 For most up to date official information, visit Volks Japan’s TYPE-MOON 10x Anniversary x Dollfie Dream web page. 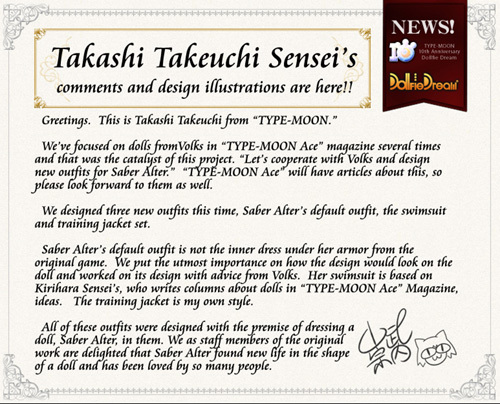 Here is a letter from TYPE-MOON’s co-founder, fate/stay night’s illustrator Takeuchi Takashi posted on Volks web site which contains some information about Saber Alter’s design. And here’s an English translation of the same letter above posted by Volks USA. Yes this pre-order event will be available from Volks USA as well. 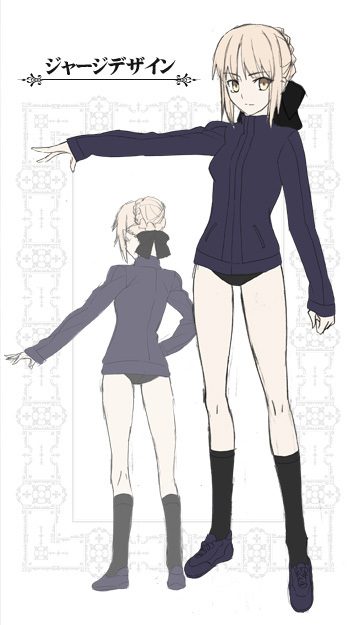 Here’s the clothing design for Saber Alter 2nd Version. You can have the bolero jacket (or shrug) on or off. And here are the jersey design on the left and the swimsuit design on the right. Still waiting on official announcement of what the set will include and the pricing. 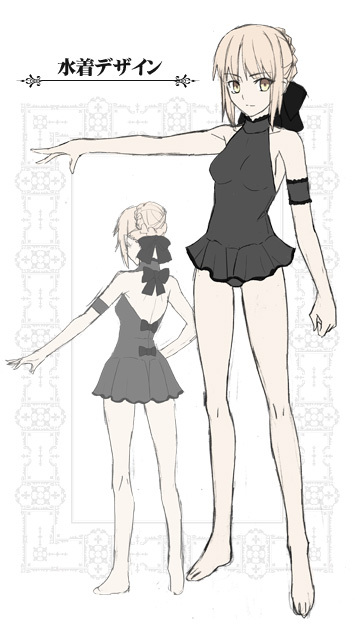 However post from Wolfheinrich’s World suggest that Saber Alter 2nd Version will be priced at 59,000 JPY, the jersey dress set at 8,800 JPY, and the swimsuit at 2,800 JPY. That certainly is a relief on the prices consider that Saber Lily has an MSRP of 99,750 JPY. 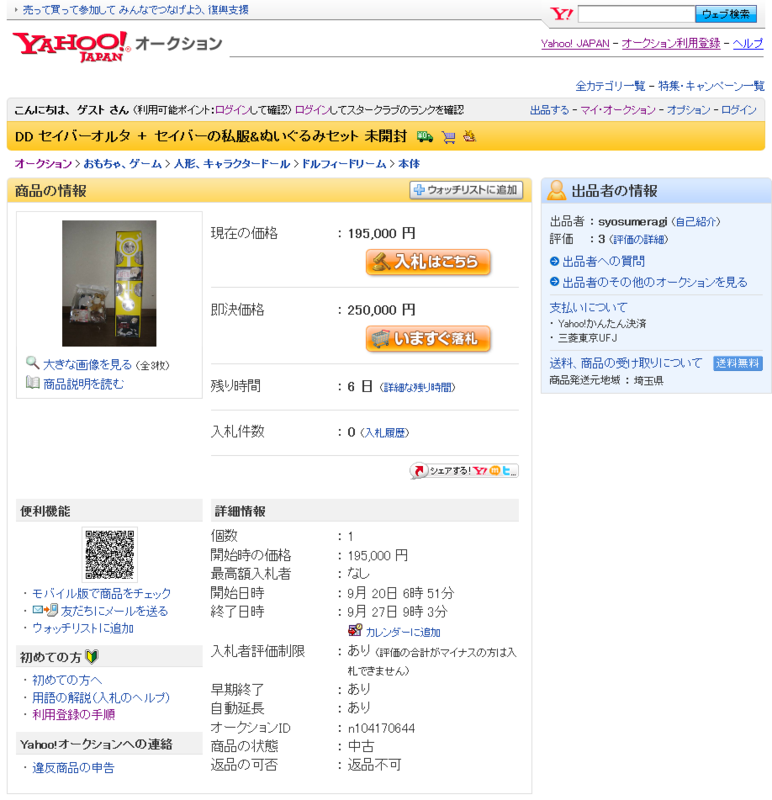 Don’t know what’s the price on Volks USA yet but shouldn’t be far off. The best of all, since this is a pre-order project, it means everyone who places the order in the pre-order period will get their doll. No need to pay all those high premiums on the auctions for this Saber Alter. 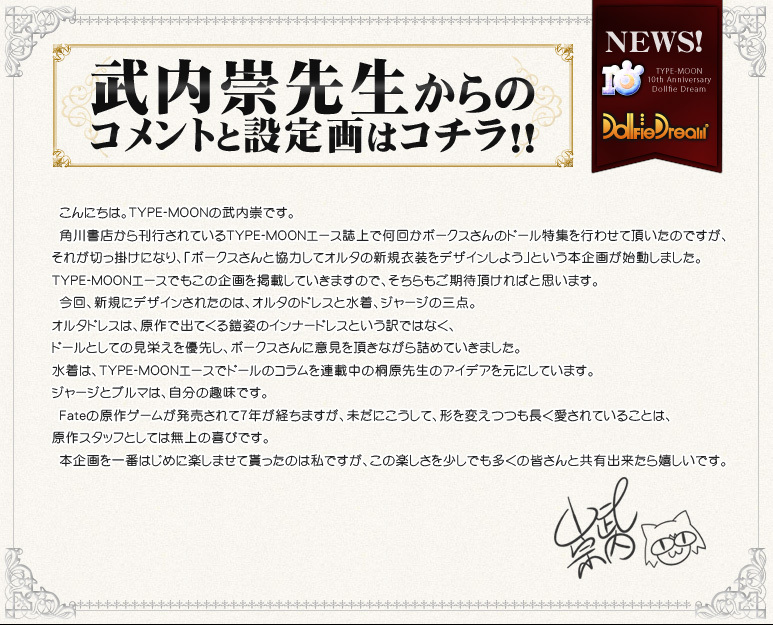 As the time of writing this post, I see a Saber Alter with one extra clothing set listed on Yahoo Japan Auction for 195,000 JPY, that’s nearly 2,550 USD! 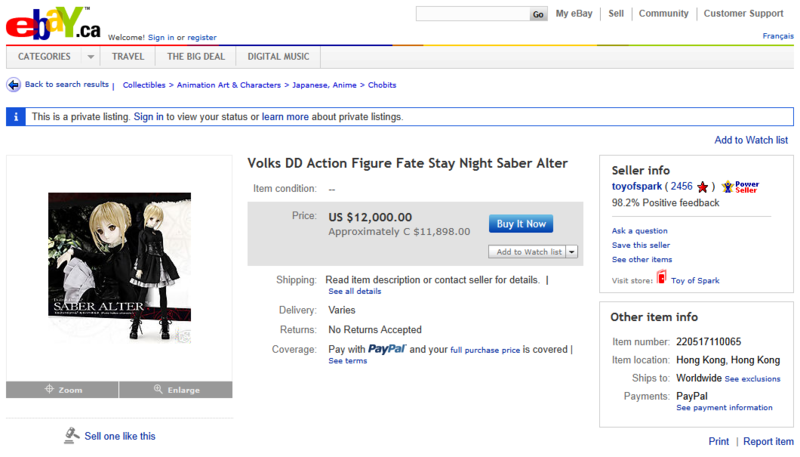 And even crazier, there’s another Saber Alter listed on eBay for 12,000 USD! Just how much do they want to make over this doll? I understand it’s a business and business is in to make money, but this is just way too much. Thank you Volks, now my Saber collection can finally be completed. And thank you again Volks for allowing me to complete my Saber collection without breaking the bank.